China and New Zealand have agreed to start formal negotiations to upgrade the pair’s free trade agreement (FTA), the Pacific nation’s Prime minister said on Monday. New Zealand Prime Minister John Key said in an emailed statement that the upgrade would ensure the existing trade agreement "takes into account the FTAs that China has negotiated with other trading partners since 2008". The first round of negotiations would begin in the first half of 2017 and would be followed by an as yet unknown number of talks that would take place in both China and New Zealand. Both nations said they were aiming to speed up the negotiation process. Issues that would be covered include technical barriers to trade, such as customs rules, as well as e-commerce, competition policy and the environment. China entered into a free trade agreement with New Zealand, the first Western country to do so, in 2008, which has helped the Asian giant grow to become New Zealand’s largest goods export partner. The value of goods and services exported from New Zealand to China was NZ$12.2 billion ($8.54 billion) in the year to June. An upgraded agreement could bring increased revenues for the world’s largest dairy exporter, New Zealand’s Fonterra Co-operative Group Ltd (FCG.NZ), its chairman said. 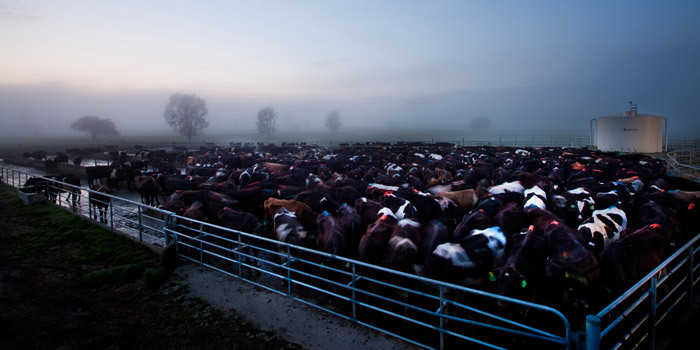 "The upgrade of the FTA provides an opportunity to strengthen the already strong dairy relationship between New Zealand and China," said John Wilson, the chairman. "We are committed to continuing to build our business in China and the FTA will remain the key platform for that growth."